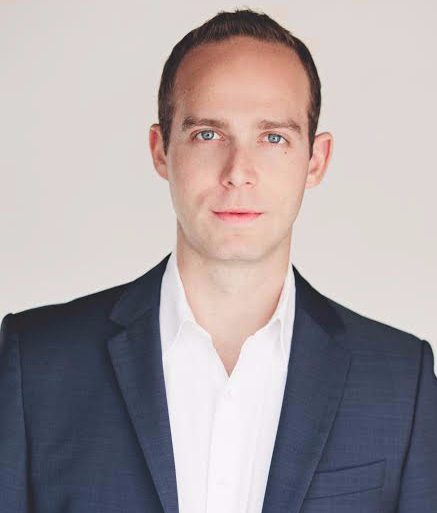 Evanston, IL – Penny Van Horn, Board Chair of The Solti Foundation U.S. and Elizabeth Buccheri, Artistic and Awards Committee Chair, announced today the Foundation’s eighth grant, The Sir Georg Solti Conducting Award, to Christopher Allen, Resident Conductor for Cincinnati Opera. Also announced was an increase of five thousand dollars to $30,000 in what is the largest grant awarded to young American conductors in the United States. “We are most pleased to announce Christopher Allen will receive this year’s Solti Conducting Award,” stated Ms. Van Horn. “Christopher, previously recognized with a Career Assistance Award in 2016, exemplifies our objective of supporting talented young American Conductors as they continue to develop their orchestral and operatic conducting skills. His exceptional young career promises to fulfill our goal and extend sir Georg’s legacy. Recipients may use the financial grant in various ways to further his/her career, whether it be further studies, purchases of scores, travel, etc. The Award also brings door-opening introductions within the industry and valuable access to mentors. The Foundation’s Board of Directors comprises experts from all areas of the classical music industry. Christopher Allen is rapidly gaining attention as a rising conductor on the operatic and symphonic stages. Recently named The John L. Magro Resident Conductor for Cincinnati Opera, Christopher Allen’s 2016-17 season highlights include debuts with the Washington National Opera conducting Donizetti’s La fille du régiment, with Florida Grand Opera conducting Cuban-American composer Jorge Martín’s Before Night Falls, and with Opera Theatre of Saint Louis leading the new revised version of Ricky Ian Gordon’s Grapes of Wrath. He also made his Atlanta Symphony Orchestra debut conducting a program of Wagner, Tchaikovsky, and Beethoven, and guested at the A.J. Fletcher Opera Institute of the University of North Carolina School of the Arts, where he led Catan’s Florencia en el Amazonas. Recently, he made his UK debut conducting The Barber of Seville at the English National Opera. Upcoming 2017 summer engagements include leading the Cincinnati Opera’s Washington Park concert for the second year in a row, and conducting Barrie Kosky’s production of Die Zauberflöte. Next season, Allen returns to Opera Theatre of Saint Louis to conduct a new production of La traviata directed by acclaimed soprano Patricia Racette. He will also conduct the North Carolina premiere of Jennifer Higdon’s Cold Mountain and make his Atlanta Opera debut conducting La fille du régiment. A graduate of the University of Cincinnati-College Conservatory of Music, among Mr. Allen’s previous honors are a Bruno Walter Conducting Award and Memorial Career Grant, which launched his career. He was then fostered by Plácido Domingo and James Conlon, who brought him to Los Angeles Opera as an Associate Conductor. He is also a recipient of a 2016 Solti Foundation U.S. Career Assistance Award, and a National Opera Association Prize for his production, while still a student, of Benjamin Britten’s Turn of the Screw. Read the Solti Foundations full press release here.